Alzheimer’s disease is a rapidly growing national health problem. Over five million adults in the U.S. currently are living with the condition. This figure is expected to triple by 2050. Alzheimer’s disproportionately affects minorities, especially African Americans. 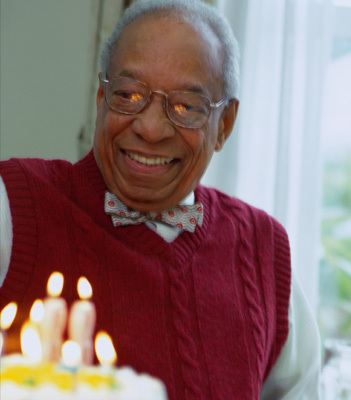 African-American older adults are approximately two times more likely than non-Hispanic White older adults to develop Alzheimer's disease and related dementias. Eighty percent of adults with dementia receive ongoing care in the home from family caregivers. Although caregiving demands are high across races and ethnicities, African Americans spend more time in caregiving activities than non-Hispanic Whites. They also are more likely than other caregivers to perform the most demanding caregiving tasks. Many African-American caregivers experience high levels of emotional distress and compromised health. Your financial support of the ACTS 2 faith-based skills-training and support project will increase our outreach to distressed African-American dementia caregivers and provide the funds needed to train more faith community workers to deliver the program. In addition, our staff systematically evaluates the impact of the ACTS 2 program on caregivers’ emotional well-being and health outcomes. We need your help in supporting this essential part of the ACTS 2 Project. Overall, your investment in ACTS 2 will make an important difference in the lives of African-American dementia caregivers. These individuals are dedicated to providing quality care to their loved ones with dementia.